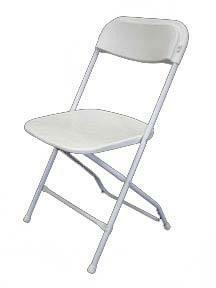 These plastic folding chairs are ideal for indoor or outdoor events. Lightweight yet heavy-duty, they are designed for commercial use. White chairs add a touch of elegance for your special event.